Associate Professor Kym Rae is the Director of the Gomeroi gaaynggal program and initiated the program in 2009. She is a mother of two daughters both of which were born prematurely and this began her interest in women’s health during pregnancy and early childhood. As a non-Indigenous woman, she considers it a privilege to have the opportunity to work closely with the traditional owners of the country. She is passionate about improving the health of the Aboriginal and Torres Strait Islander communities using culturally informed research practices. Her primary role with the University is as a researcher, however she also works; mentoring the team of the Gomeroi gaaynggal program, seeking funding from philanthropists and through government bodies, supporting research students, analysing and disseminating results, collaborating and promoting the work of the Gomeroi gaaynggal programs nationally and internationally, and reporting regularly to funding bodies and to the Gomeroi gaaynggal Aboriginal Steering committee. Dr Tracy Schumacher is a postdoctoral researcher for the Gomeroi gaaynggal program. She was born in Queensland and raised on a farm outside of Tamworth. She has now lived in the region for about 20 years. She is also a teacher and dietitian and her research has been based some of her favourite things – science and food! She is very interested in the relationship between what we eat and how that affects what happens in our bodies, particularly our heart health, often over many years. She feels very lucky to be able to work on this project, and has learnt much about Indigenous culture and look forward to learning more. Working with the team is an honour and she loves watching the artworks being created by people who come to ArtsHealth. Her primary job at the Gomeroi Centre is to manage the data that is collected from the participants, to make sure that it is safely stored, correct and ready to be used and also to plan how it can be used to make meaning in the real world. She works with our research students to show them how to manage and analyse research data and how to write academic papers. 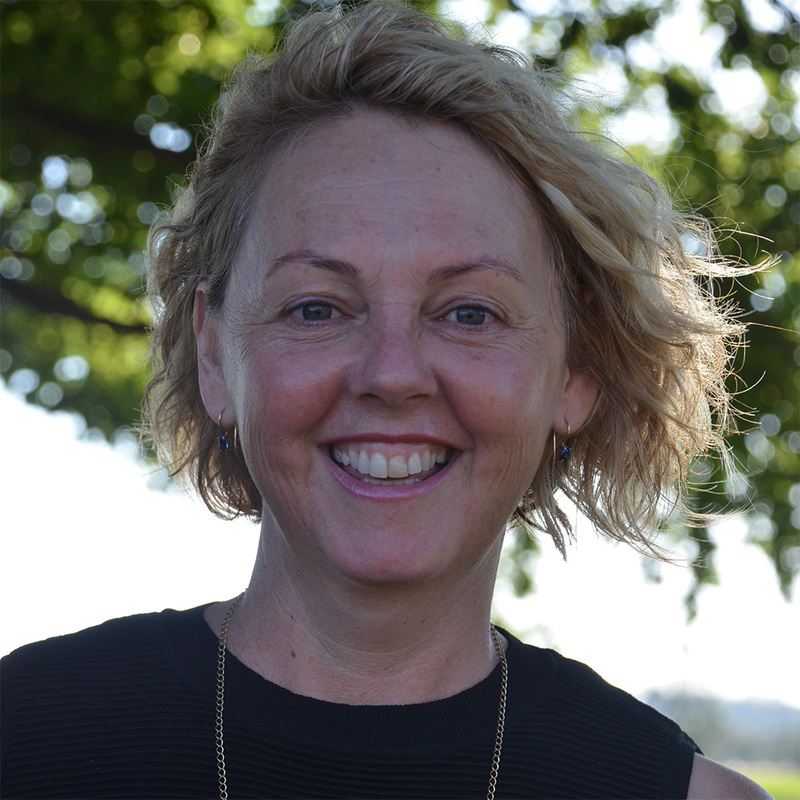 Ms Lyniece Keogh is the Executive Officer of the Gomeroi gaaynggal Centre. Lyniece started with the Gomeroi gaaynggal Centre in 2014 as a part time Administration Assistant and is very pleased to be utilising her skills in business to the benefit of the Gomeroi gaaynggal Centre and cohort. Lyniece is a proud Kamilaroi woman born and bred in Tamworth and the mother of twin sons. During Lyniece’s pregnancy and since the birth of her boys she has suffered a number of health conditions which we are looking at as part of the research at the Gomeroi gaaynggal Centre including kidney disease and diabetes. Lyniece has a great interest in the early detection and prevention of chronic disease for our participants. Lyniece’s role at the Gomeroi gaaynggal Centre includes the day to day operations of the Centre including the Arts & Research programs, supervision and mentoring of the Indigenous team members, financial management of funds, program development and management and sourcing funding to support the ongoing success of the Gomeroi gaaynggal Centre. Lyniece is an avid early career artist and passionate about ensuring the artistic and curating of works from the Gomeroi gaaynggal Centre is of the highest standard enriching and informing our artists and the wider community of Aboriginal art and culture. Mrs Jodie Herden is an Aboriginal Project Assistant at the Gomeroi gaaynggal Centre. She is a proud Gomeroi women who has lived and worked in Tamworth her whole life. A mother of 3 children and 3 beautiful grandchildren. During her first pregnancy Jodie suffered from kidney issues and was under the care of a kidney specialist with daily monitoring. She also suffered complications with her second and third pregnancies. Jodie developed Pre- Eclampsia and kidney problems thus resulting in both babies being born 6 weeks premature. Due to Jodie’s own health concerns during her pregnancies, she is passionate about early detection and prevention of chronic diseases, with an aim to provide the best possible care for the Gomeroi gaaynggal Centre participants throughout the study. Jodie has an extensive work history in education and community services developing a strong connection to community. Jodie is one of the Aboriginal Project Assistants at Gomeroi gaaynggal Centre. In this role Jodie recruits participants to become a part of the chronic disease study, collects blood, urine and saliva samples on clinic days, prepares, runs and facilitates several school groups, Elders groups and ArtsHealth programs on a daily basis at the centre. Jodie is an established visual artist with over 20 years’ experience showcasing her work overseas and nationally. Jodie has travelled the world sharing and learning from first nations people and she is committed to sharing culture and her teachings to all the participants and visitors who attend the Gomeroi gaaynggal Centre. Providing a space where the participants feel safe, connected and respected in a culturally sensitive environment. Paris Knox is the Indigenous Trainee at the Gomeroi gaaynggal Centre. Paris is a proud Gomeroi woman from Tamworth who started with the Gomeroi gaaynggal Centre in June 2018 and is currently completing a Certificate IV in Leadership and Management. Having chronic diseases such as diabetes and cardiovascular disease affect members of Paris’ family, she was inspired by the Gomeroi gaaynggal Research study and wanted to not only create an understanding of these chronic diseases and how to prevent them but to also help improve Indigenous woman and children health outcomes. Paris’ role at the Centre includes assisting with the ArtsHealth Programs and Research Study including maintaining the social media presence of the Gomeroi gaaynggal Centre, assist with facilitating the Community Arts Program, collecting blood, urine and saliva samples and other data during Research appointments. Paris also provides administrative support to the Gomeroi gaaynggal team. Paris has introduced Instagram for the Gomeroi gaaynggal Centre to further promote the Programs and outcomes of the Centre. Paris hopes to continue to improve the health outcomes within the Indigenous community, develop her artistic skills and broaden her professional development skills to the highest standard. Mrs Vanessa Johnson is a clinical sonographer with over 15 years’ experience. Vanessa has been undertaking the pregnancy ultrasounds at the Gomeroi gaaynggal clinic since February 2016. She has an interest in obstetric ultrasound and works with the research team and Indigenous staff to continually improve the delivery of care to our mums. Vanessa feels that helping the participants feel safe and comfortable during their ultrasounds is as important as the clinical care provided and endeavours to build rapport with each participant. As the mother of three girls, one of whom was born prematurely, Vanessa feels strongly about the importance of women’s access to healthcare during pregnancy and loves being part of the team providing care to the Aboriginal community.